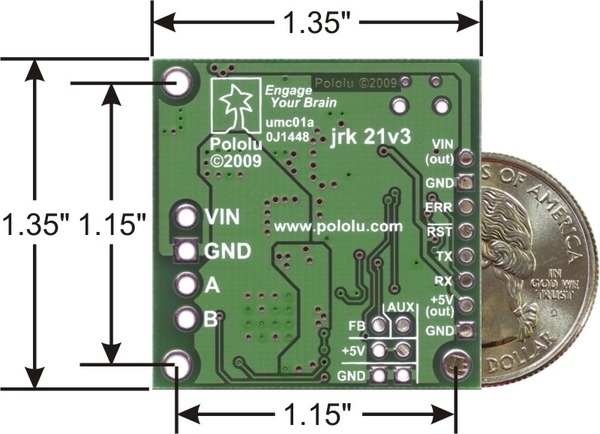 The jrk 21v3 is a versatile, general-purpose motor controller that supports a variety of interfaces, including USB. 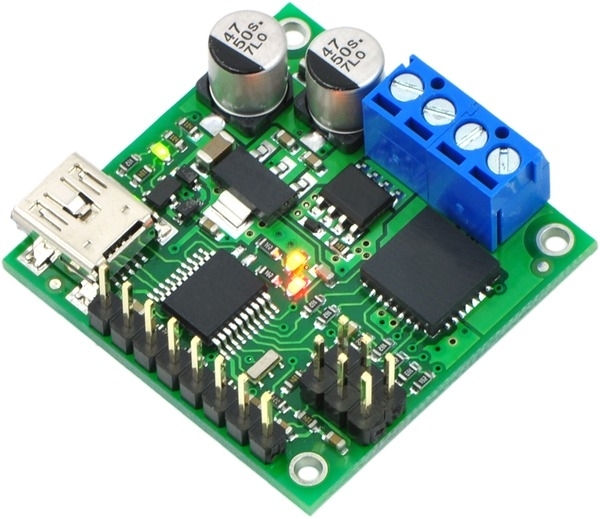 The broad operating range from 5 V to 28 V and continuous output current of 3 A (5 A peak) allow this board to control most small DC brushed motors. 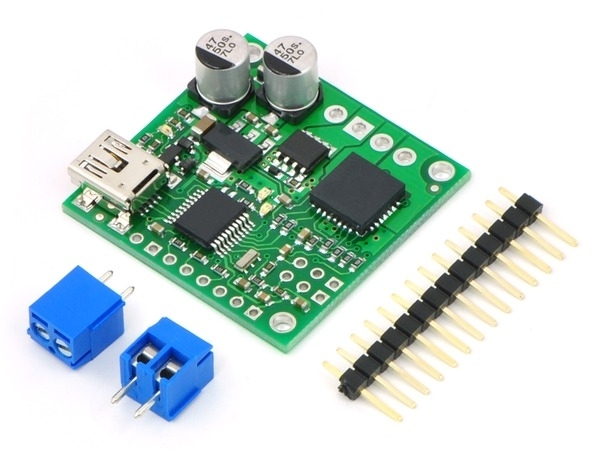 Analog voltage and tachometer (frequency) feedback options allow quick implementation of closed-loop servo systems, and a free configuration utility (for Windows) allows easy calibration and configuration through the USB port. Simple configuration and calibration over USB with free configuration program (Windows 8, Windows 7, Vista, and Windows XP compatible). 2.Autodetects baud rates between 300 and 115,200 bps, or can be set to any fixed baud rate in this range. 3.Current readings are converted to a digital number from 0-255. 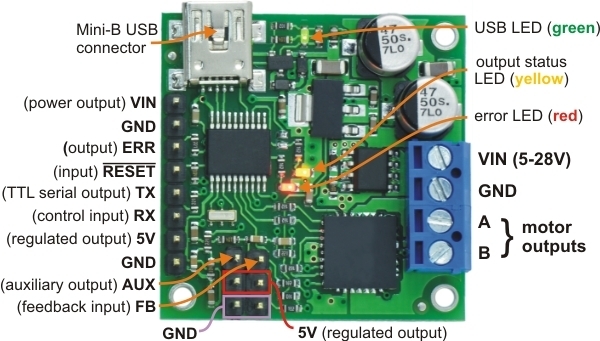 4.In RC mode, the pulses can be as low as 2V.